The Leo Workwear Bickington Bomber Jacket is a rugged and durable garment that is suitable for a wide range of working conditions. The integral hood and double storm flap will keep you warm and dry in the most testing conditions. 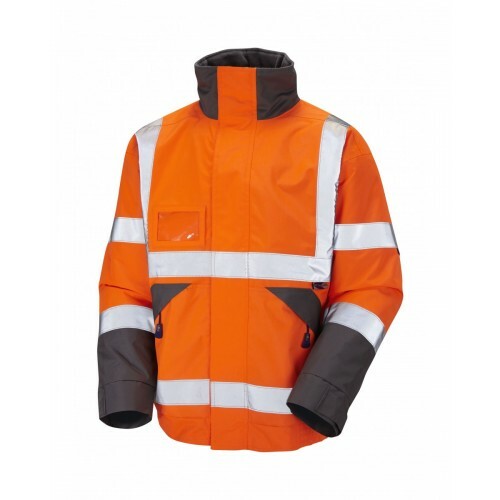 The orange colour on the body of the jacket conforms to GO/RT 3279 making it ideal for railway workers.